Read this only if you like packing posts! The photo shows my stuff ready to go to the airport – backpack alongside a flat shoulder pouch with my valuables and guidebook, and a separate bag that I will check in for the flights and then discard when I arrive. The checked bag has my walking sticks, knife, and sleeping bag (to reduce the bulk of my backpack, which I’ll carry-on with all my other things). I’ll also carry a light “string” backpack to hold the things I want handy during the flight. When I’m walking, the backpack will be be filled to the top. My wardrobe consists of layers such that on a very cold day I will be wearing almost everything. On a hot day I will be carrying most of it. Here’s my list, with weights in grams, for those fellow fanatics who are interested. October 11, 2015 in Camino 2015. Glad to come across this. My daughter and I walked the Camino in 2013 but I ended up with plantar fasciitis and had to bail at Santo Domingo. Trying to convince my husband he needs to do something like this and every day on our walks I talk a bit about the camino and slowly he is coming around to understanding the draw. Thinking of doing a fall walk next time so I will be following along to see the difference between fall and spring. When we went in 2013 it was near the end of May and we had rain for 2 weeks and even a bit of snow on day 2. Your list looks good to me! The weather varies, of course, but October is a great time to walk. Thanks for commenting! Great list! I now have to work out why mine weighs 9.5 k and yours 6.5 k ! I guess you’ll have to weigh every little item like I did. 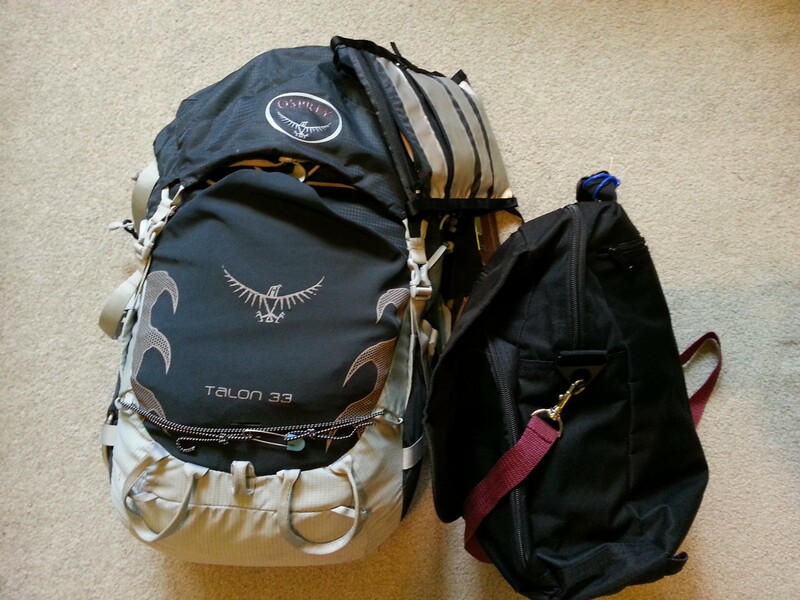 When I checked in yesterday I weighed the main pack – it was 5 kg, and I had 1.5 kg in my checked bag. That included some snacks. So, it’s about right. plastic water bottle 300g? What about with water in it?! Not sure which NR you are. SorrEE! That should be “Plastic bottle with water: 300 g.” I do not subscribe to the major water consumption beliefs. I see you don’t carry a guide book such as Brierley. When are you off? Do men shave on the Camino? or save the weight of the shaving gear? Hmm. I would say that shave frequency is somewhat reduced. I haven’t enquired about their equipment, or seen any shaving yet, but will make a point to observe.